George H W Bush lives in Houston, Texas but he also has a home in Kennebunkport, Maine. He lives there with his wife Barbara. Former President Bush was born on June 12, 1924 in Milton Massachusetts. He studied at Greenwich County Day in Greenwich, Connecticut. His father Prescott Bush was a Senator. He excelled at school and held a number of high positions in class. He also played a lot of baseball. He joined the Navy following the outbreak of World War II. After the war, Bush married Barbara and they settled in Texas. He got into the oil business and became a multimillionaire. In 1966 George H W Bush was elected as a member of the House of Representatives. He later became an ambassador to the UN during the Nixon administration. He also served as envoy to China and served as CIA director in 1976. He failed in his bid for the presidency in 1980. However he became the running mate of Ronald Reagan. Under the Reagan administration, his main focus was on deregulation issues. In 1988 he ran for the Presidency again and won. He received 426 Electoral College votes and got 53% of the popular vote. 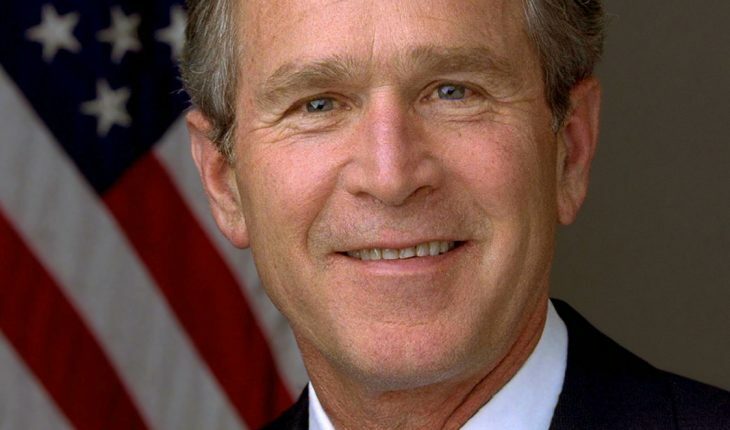 The administration of President Bush was marked by his domestic and foreign policies. In his campaign, George H W Bush promised that under his administration he would not raise taxes. However the country was faced with a huge budget deficit. The Republicans wanted to spend their way out of the deficit. The Democrats maintained that raising taxes was the solution. In the end, Bush was forced to raise taxes. This led to a decrease in his popularity. President Bush also enacted into law the American Disabilities Act of 1990. He also strengthened policies regarding technology and childcare. He also enacted the Clean Air Act. Under his administration laws for improving the country’s infrastructure were also enacted. The foreign policies of President George H. W. Bush helped define his term. During his time the Berlin Wall had just fallen and the Soviet Union collapsed. However it was the Persian Gulf War in 1991 for which his foreign policy will be most remembered. In August 1990 Iraq invaded Kuwait. On January 1991, the US and her allies attacked. After a month of bombing the ground assault was launched, liberating Kuwait. He was criticized for not driving in to Baghdad. In response, the US President said he didn’t want to increase the number of casualties. He also said doing so would have led to an occupation of Iraq itself. His popularity ratings zoomed after the war. Despite his popularity he lost in the elections to William Clinton due to economic problems in the US. While the foreign policies of George H W Bush were well received, it was his reneging on his word not to raise taxes that cost him his reelection bid. Since 1992, Bush has retired from politics and divides his time between Houston and Maine.